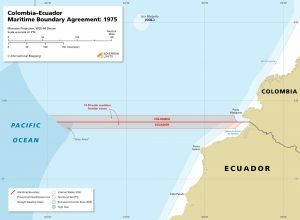 Colombia and Ecuador established their maritime boundary through a bilateral agreement that was finalized in 1975. The boundary is a loxodrome, or line of constant compass bearing, that follows the parallel of latitude extending due west from the land boundary terminus (LBT). A Joint Declaration announced the exact location of the LBT in 2012. 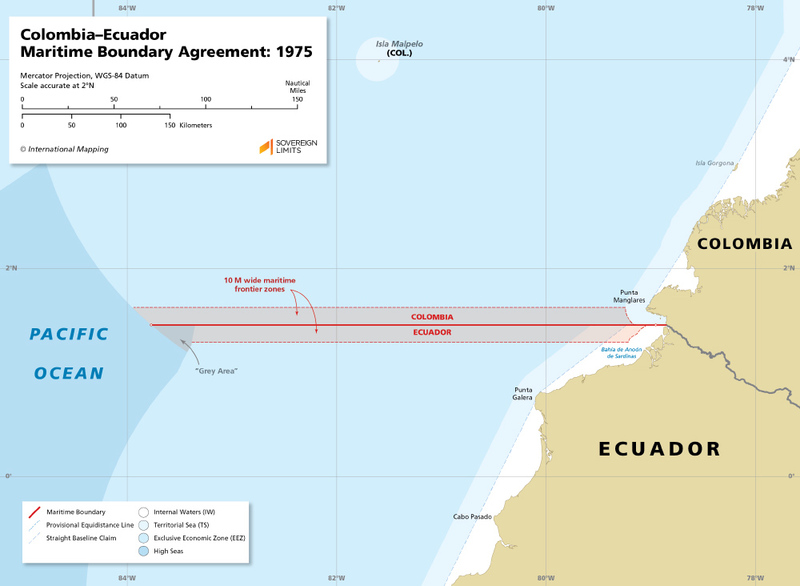 The terminal point of the boundary for Colombia was positioned on the 200 nautical miles (M) limit as measured from Isla Malpelo, while Ecuador’s boundary terminated on the 200 M limit measured from Punta Pasado and Punta Galera located on its northern mainland coast.